Reading…The Shack Revisited and OMG, OMG, OMG! I read The Shack last year and it blew my mind and now a year later, The Shack Revisited….OMG….I am experiencing the same WOW experiences….I am so HIGH right now off the Holy Spirit! 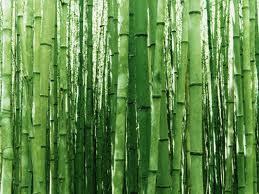 Are you a Bamboo Tree? This is DEEP! Thank you Pastor Houston for this inspiration. They spend years growing roots before their life sparks! If the winds blow really hard against the Bamboo Tree and it falls…it’s roots are able to lift itself back up over time. And guess what…the next time a storm comes..the wind has to blow extra hard because the previous winds will not cause the same damage! I am purchasing 3 tomorrow!